A £23 million funding agreement has been secured for an industrial warehouse scheme that is set to generate significant employment opportunities. Commercial property developer Stoford Developments and specialist sustainable and impact investor Bridges Fund Management have announced a funding agreement with Royal London Asset Management for its multi-million pound Pantheon Park development in Wolverhampton. 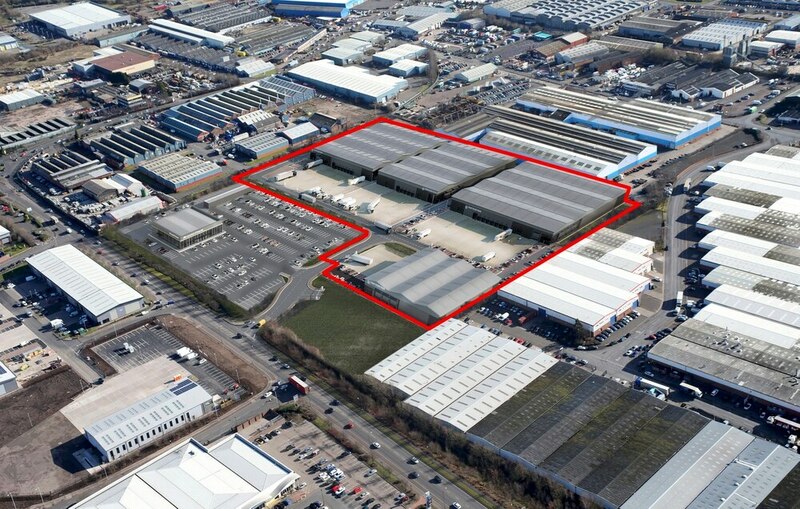 The joint venture partners have submitted a planning application to Wolverhampton Council to build four high-quality industrial/warehouse units at the 18-acre site in Wednesfield Way, varying in size from 30,000 sq ft to 82,850 sq ft.
Planning consent has already been granted for a major new car sales site at the scheme on behalf of leading car dealership Arnold Clark, with an additional unit earmarked for business storage company, Lok’nStore. Investment in the Pantheon Park development means that work is expected to start on site in February once detailed planning consent is achieved. Practical completion is scheduled for the fourth quarter of 2019. Angus Huntley, development manager for Stoford Developments, said: “This announcement is really good news for Pantheon Park and for job opportunities in Wolverhampton and the wider West Midlands region. Pantheon Park is situated in a prime industrial and logistics location just two miles from Wolverhampton city centre. Stoford has delivered projects totalling over 13 million sq ft of floor space across the UK since 1996, while Bridges Fund Management has a 15-year track record of delivering strong commercial returns alongside measurable social and environmental benefits.